Metropolis Clock screensaver: oasis of ultra modern urban harmony for your pc screen! 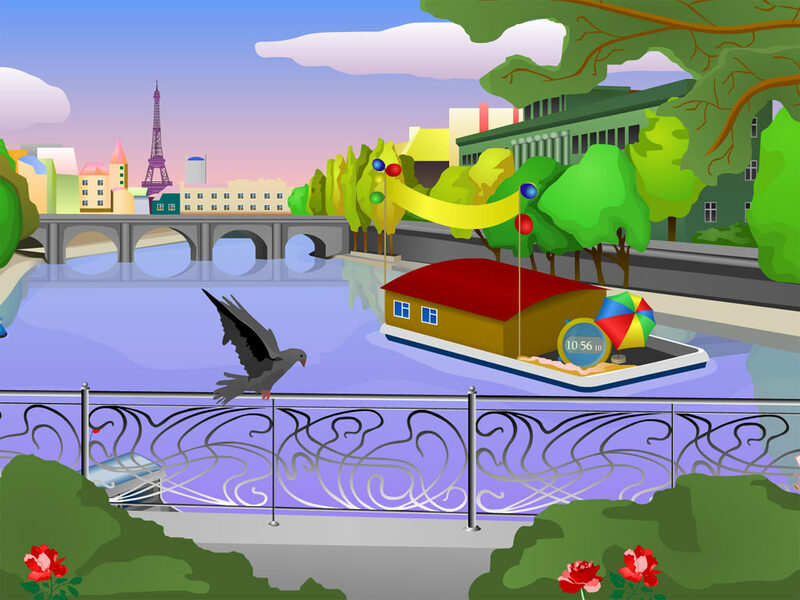 Oasis of ultra modern urban harmony for your pc screen! 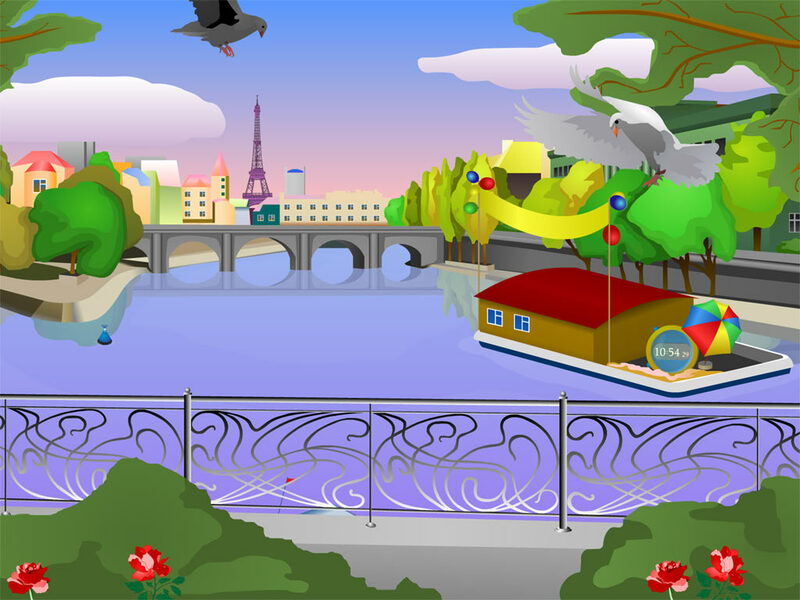 Fluffy clouds in violet sky, calming river, moving boats, flying pigeons surrounded by colorful balloons, red roses and green trees. Feel atmosphere of the holiday right here and now! Always feel atmosphere of the feast! Alien Sun Clock Screensaver shows accustomed things in new colors. You can see the Sun through the eyes of an alien to experience what it's like to look at the sky in the alien vision. 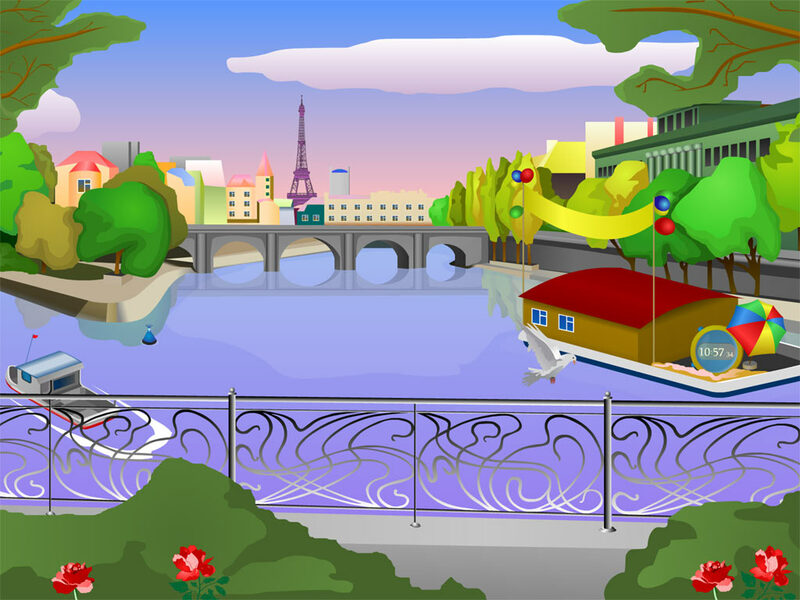 Your desktop gets covered with a fascinating assortment of vivid colors composing a new image of the Sun. Within the Sun there is a fine, curved-style clock. Would you like to have a clock with the size of the Sun? You've just found one. Brighten up your desktop!